With a discreet VIP service, you can avoid delays by booking a helicopter charter to the Open at Royal Portrush. Everything will be arranged for you by our friendly Operations Team who are dedicated to detail and have over 18 years experience organising a wide range of itineraries. Discretion is guaranteed. The exclusive Quote Generator below gives you an instant estimate and once received the Operations Team they will respond with a detailed quote. Or you can call them on 01256 635 000. Our experienced Operations Team will find a departure point as close as possible to your business, home or hotel with chauffeured transfers taking you to the aircraft when necessary. By being dedicated to detail you can be assured of a perfect flight that matches your schedule. Our luxurious fleet of twin-engined aircraft have enough room for you and up to five guests. During your flight you’ll enjoy complimentary English sparkling wine from Hambledon Vineyard and light catering helping you arrive in a relaxed and bubbly mood, ready to enjoy a great day out. Our twin-engine helicopters make this possible as they are permitted to fly at night, so your journey need not be limited to daylight hours. Royal Portrush can be reached easily from any location with Northern Ireland and mainland UK making almost any hotel available to you. 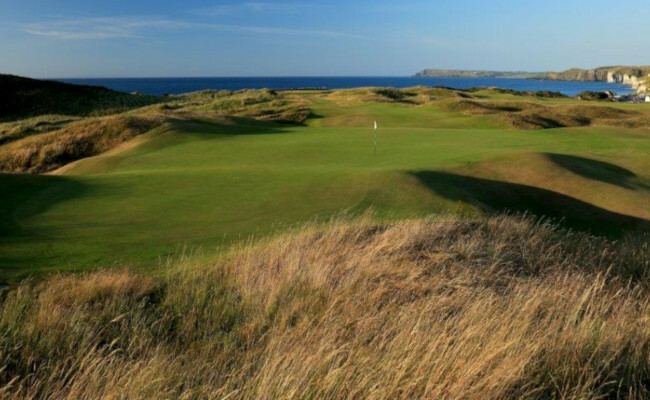 This amazing golf course is situated on the beautiful Causeway coast and overlooked by the ruins of 13th century Dunluce Castle which gives its name to the famous Dunluce course. 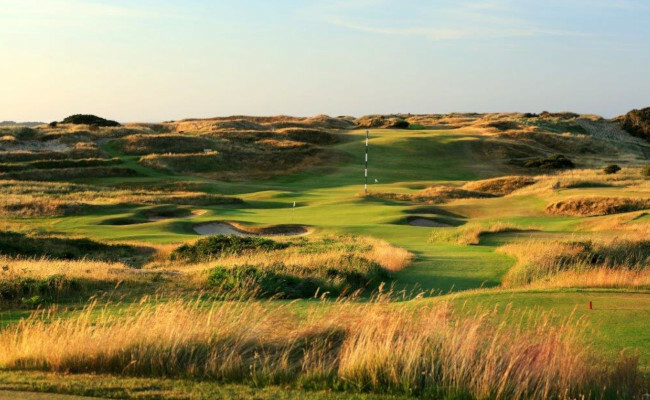 Said to be “one of the best and most challenging links golf courses in the world” the course has been redeveloped with two new holes designed by architect Martin Ebert. The Open last came to Royal Portrush in 1951, the first time it was staged outside of mainland Britain, and saw Max Faulkner became Champion Golfer of the Year. The 148th Open will be played 14-21 July 2019, marking a historic return to Northern Ireland for one of golf’s biggest prizes.